This helpful serger guide was submitted by Sarah from Sewing Parts Online. If you're ever in the market for a special sewing foot, pedal, bobbin, instruction manual, etc. be sure to check out their website. They even have parts for older machines like mine. Sarah hooked me up with some great darning feet! And now she's been kind enough to share this amazing guide with us. Enjoy! Learning all the new options a serger brings into your sewing life is a challenging and rewarding experience. I know most of us are intimidated by just the appearance of a serger, let alone figuring out what heck you can do with it! However, with a little time and patience, your serger will add all whole new perspective to your sewing. Successful sewing relies on a great community we all make together, so if you know any special tricks or have a few questions, leave them in the comment section below. Someone may have the same question or your trick might save us all a little more time! Firstly, mentally prepare yourself for a little confusion. When you're learning new serging techniques, you will find yourself adjusting, rethreading, crying, readjusting, switching needles...it's a lot to take in. This is because, just like a conventional machine, your setting have to be altered to fit different stitches, fabric, and thread weight...x4 (or x3 or x2 depeding on your stitch, but we'll get to that later). It takes time, but it does get easier and is well worth it! 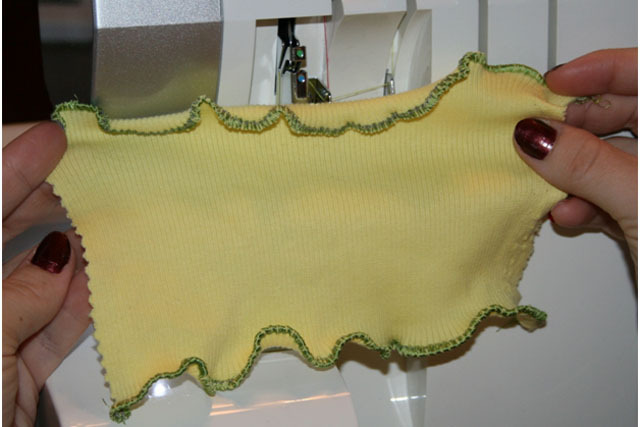 Secondly, give yourself time to really experiment with your serger before starting any projects. Trying to complete a project and compute all your serger settings will more than likely overwhelm brain circuits and cause spontaneous combustion. For me to understand my serger, I used my manual, library books, and surfed the internet to create a Serger Scrapbook. I tried out each stitch and different techniques one at a time. Once I had a stitch or technique done correctly, I glued the fabric swatch in my scrapbook, recorded all my settings as well as some tips and adjustments for different threads. Because there is so much to learn, having a scrapbook is an easy and fast way to recall information. While learning, I would limit myself to a couple hours of serging at any one time and just walk away when you feel the urge to break something. Give yourself time to learn in a stress-free environment and don't judge yourself if you mess up. It gets better! Use good quality thread. Back away from the bargain bin; it will only end in tears. Sergers have fast moving parts and inferior threads cannot keep up. Maxilock and Toldilock are great options. Do whatever you can to ensure the thread is feeding evenly and consistently off the spool. Any wiggling will cause hiccups in your stitch. I have had to stuff my thread spools to secure them tightly. The thread nets are also very helpful. Use the Stitch Finger as a guide for sewing. Keeping an eye on the Stitch Finger (or the needle when the Stitch Finger is on R) will prevent the material from getting wrapped around the Upper Looper. Love thy Tweezers! I literally cannot thread my machine without tweezers. Tweezers also help if you are trying to detangle thread that wraps up where it shouldn't. Keep those pins far, far away from the cutting blade and the needles. You know how on your conventional machine you can get away with sewing over a pin or two? Not on your serger. You can always use basting spray to secure your fabric. If you must use pins, place them three inches away and parallel to the blade. Oil every 15 hours of serging and dust frequently. That cutting blade makes one heck of a dust pile. If a thread breaks in the upper or lower loopers, I rethread both of them in order just to be safe. Remember to keep your manual handy. I know we all hate trying to read manuals, but they really are a helpful reference. A four Thread Overlock stitch is ideal for constructing your projects. It'll finish the edges and hold your fabric securely. This is your basic starting point. You can serge in twill tape or ribbon into the seam to prevent stretch (like in shoulder seams). However, I recommend reinforcing heavy activity areas of clothing on your sewing machine after you have serged (like the crotch area of your pants). I have felt the wrath of not securing this area on a conventional sewing machine...in public. Serging an outside corner is basically serging a straight line. You can't pivot the material as you would on a conventional sewing machine. You simply serge a 3 inch chain past the end of the fabric, lift the needle and presser foot, and reposition your fabric to serger another straight line. The ends of the chain get secured in the stitch. Serging an inside corner requires you to bunch the fabric in to a straight line and serge normally. Don't worry, your fabric won't stay bunched. Try to get your line as straight as possible. The trick to serging curves is all about control. Make sure you have a firm hand on the fabric and are controlling the feed with purpose. Try to slowly serge until you get the hang of it. To successfully serge a circle, you need a starting point. Cut out a one inch long notch in the edge of the circle. The notch depth should be equal to your finished edge. So if I am cutting off 1/4 an inch, my notch will be two inches long, 1/4 inch deep. Just like serging a curve, maintain control of the fabric. You may find it helpful to draw your hem line and follow it as your serger. I always find it helpful to watch the needle(s) as I serger. Consult your maunal and adjust as needed. The trick is to have no tension in the needle and high tension in the loopers. Also, you want to examine your stitch finger and make sure the thread is hanging about 1/8 an inch past the edge of the fabric to ensure the fabric will lay flat when pulled. I especially love flatlocking with nylon thread in the upper looper. We see flatlocking often on active wear, but it also adds a great decorative element. With the wrong sides of the fabric together, you get the serging stitch in the right side of the fabric. But if you serge with right sides together, you will get a cool ladder stitch on the right side of the fabric. This is great for weaving in ribbon or yarn or beads. Talk about a great way to save thread! A spreader, also known as a two Thread Converter, fits into the upper looper, making it think it's working when it's not. The same technique for sewing a three thread flatlock applies to sewing a two thread flatlock. Remember to let the fabric hang over. I find it most accurate to follow the stitch finger as I serger. I aim to have the edge of the fabric meet with the inside edge of the stitch finger. I keep my eyes glued to that and I get the best results. Rolled edges are so beautiful! Especially with decorative threads and on lovely sheer fabrics! Rolled hems are the stitch of choice for light-weight decorative fabrics, but require a few extras to be successful. Regarless of the stitch width, I recommend using some form of stabilizer on the lighter fabrics. You can use water soluble stabilizer or ribbon. I have actually heard of people using plastic wrap to secure the stitch of super delicate material. If you don't have any stabilizer available, you can simply fold the edge on itself and serger. You just need to go back and trim the extra fabric that's left over. Remember, you will have to adjust your settings to accommodate for fabric weight and the type of stabilizer you use. You can buy a Gathering Foot for your serger, but it can be done with the general purpose foot, it just needs a little tweaking. I found I get the best definition using lighter fabrics, but you can increase the volume of your gathers by simply manually pulling on the needle thread after you have serged. You can adjust the width as you please. A lettuce edge is an awesome decorative edge! You will get the best results from ribbed knits because they have a great stretch and bounce back quality. I tried a lettuce edge on other knits and wasn't pleased with the results nearly as much. The trick is to stretch the material from front to back as much as you can. Really pull on the fabric to get a great lettuce effect. You aren't going to hurt your machine. Slowly sew until you get the hang of it. Keep a firm grip and control the fabric. There are a couple of ways to make your stitches look like waves. To create a wave look within your stitches and the create a wave effect with multiple rows of stitches. If you own a Babylock machine, you have a wave stitch built in. For the rest of us, you will need to do it manually. First, start with your manual's recommended settings for a three-Thread Overlock and make slight adjustments to fit your thread and fabric weight. User your left hand to guide the fabric. With your right hand, loosely hold lower looper thread between your pointed figner and thumb. Count 1-2-3 out loud and sqeeze your finger at the intervals beween each second. So you are literally pinching the thread for a millisecond as it comes off the spool. This takes a lot of practice. I'm still working on my precision. To create a wave look on your fabric, you serge multiple parallel lines using a shortened three-Thread Overlock Stitch. It looks best when you use decorative thread in the Upper Looper and thread matching your fabric in the Lower Looper. 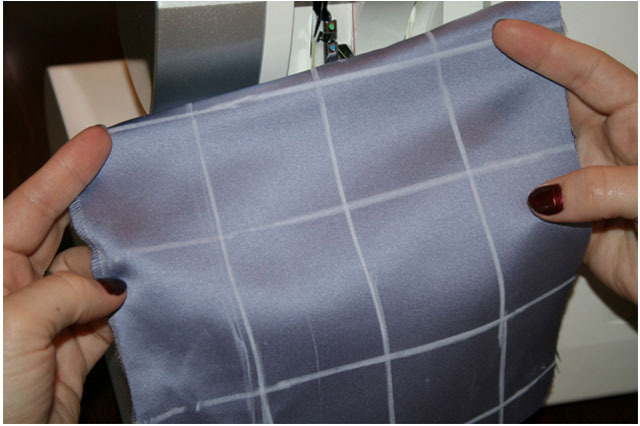 Then, on your conventional sewing machine, you sew a grid of alternating lines that intersect the serged lines. For example, you serge five parallel lines one inch apart. Then you go to your conventional sewing machine (match your thread to the fabric), sew five more parallel lines that cross over your serged line. You alternate the direction you sew to create the wave look. Basically, you are sewing a grid. Yes, it can be done! This works great in place of a cover stitch on knits. Start with a Flatlock. Adjust your settings to match your fabric and thread. Fold hem to the wrong side of fabric, then back over to the right side of the fabric. For a truely invisible hem, extend the raw edge past the fold and stitch on the extended hem edge (1/4 inch part), allowing the machine to just barely catch the fold. Sew slowly and keep your eye on the needle to make sure it is catching the fabric. Match your needle thread with the color of your fabric. I hope you found this article helpful and good luck with your serger! I just had a lightbulb moment reading this. I can't believe it never occurred to me that my thread constantly breaking on my serger might be because of my THREAD. Uh, DUH! I mean, I buy quality thread for my sewing machine, and I was cursing some Coats thread on my embroidery machine last night b/c everything went smooth til I switched to the spool that was a Coats thread, but it never occurred to me that my serger thread might be an issue. Good grief. I guess I bought it long before I really started to think about stuff like that it just never occured! Pinning this to look to later... when I've got some new thread! I am scared of my serger. thank you for holding my hand. going to practice, practice, practice!! This is so helpful. Thank you! I keep a little notebook in my sewing table with notes on the settings I use for different kinds of fabric. O it was so hard to throw away all that old, old, cheap thread.... and SO worth it! Great post and the tension guides are especially helpful. Great overview! I recently started using a flatlock stitch and LOVE it! Oh wow! I totally needed this. I have been playing with the settings of my serger and just can't get it to do what I want...now I can! Thanks for the walk throughs of all the cool stitches. Wow -- this is like the Momma of All Serger Tutorials! I love the close-up photos. My serger is great, but the manual is very confusing and has no pictures. Another great thread to try that my serger absolutely loves, very little lint and no slubbies whatsoever, is YLI Elite Serger Thread. I order mine online from www.uncommonthreads.com. great article!! !..my serger makes me cry but after reading this i think that we can be friends again..never realized all the fun things it can do...thanks!! And, this is why I subscribe to your blog, you sweet Verbena, you! My serger has sat in the corner of the sewing room for YEARS. Yes, I'm ashamed, but years. I brought it to the shop before Thanksgiving, and got a mini-tutorial on threading (which I've already forgotten). Yesterday, I summoned my courage and tied my cones to the thread the woman at the shop left for me, and held my breath, and....oh, my heavens! It worked! I finished the seams for a couple of Patriot's print pillowcases which I had Christmas commissions for, and it looked great. New Year's resolution: to learn more. I will be returning to this article again and again, I know. Thank you so much for putting it together for all of your readers. P.S. You wouldn't believe it, but I'm an accomplished sewer! Why are we all so afraid of our sergers? I wish you could personally come to my home. I have been searching far and wide for help with my serger....thanks for the tips. Oh wow, thank you for posting this. I sew a lot of garments and have wanted a serger for YEARS. A friend bought herself a new one so is giving me her old serger. I cant tell you how excited I am. But I have no clue how to use it. Thank you so much for this wonderful information. Thank you so much for this tut! I am a novice seamstress and recently acquired a huge, industrial, ancient serger from a friend and have really loved using it but still, my seams are not pretty. I know I need to learn the adjustments but I know now that I need to buy some good thread. I will do that today! I am going to take all the thread off and rethread with the good stuff and I am thinking I should buy all different colors so I can really understand which thread is doing which stitch. I also will start my own sewing scrap book and start it with THIS tut, it is too much for me to take in now but that is why I will print it off. Yeah! I have a new found excitement for my machine. Thank you again, so, so much! I just saw a video on YouTube last night. A lady was showing how to lettuce edge on a sewing machine. She recommended cutting the fabric on the bias (diagonal) to get the stretch needed for the curling. I'm ready to try your tips! 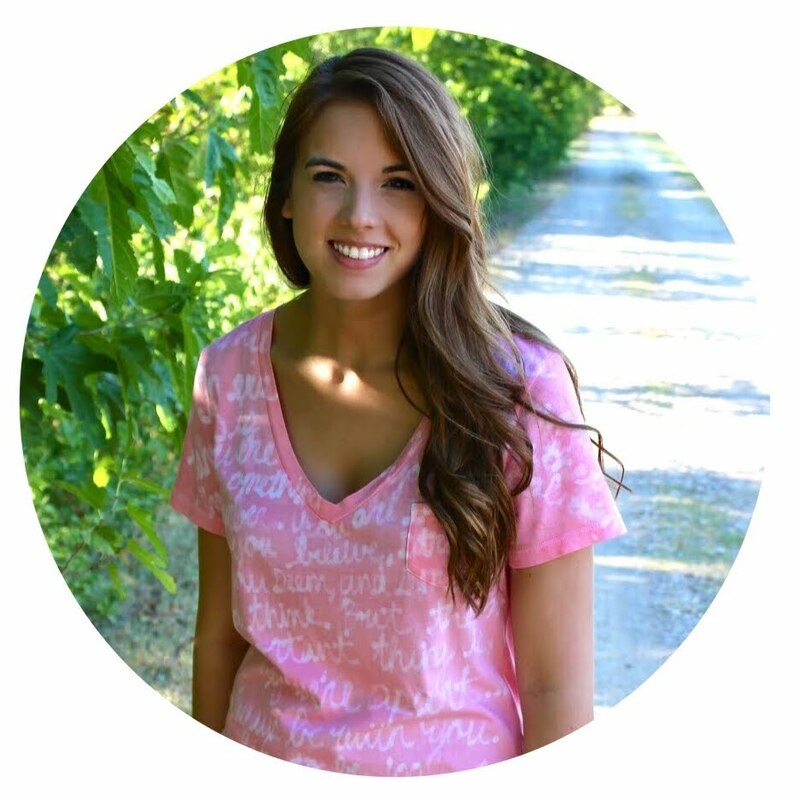 I just stumbled across your blog and am thrilled! I bought a serger for myself three years ago and it is still in the box. I am so afraid I am going to break it while trying to figure out how it works. Your post is wonderful and I actually think I am going to open the box this weekend. Thank you for leading the way!!! I have a serger given to me by (I thought haha) a friend. It terrifies me. I get it out of the box, look at it, run my hands over it and start to shake. Back into the box it goes. This has given me some hope. Thank you. 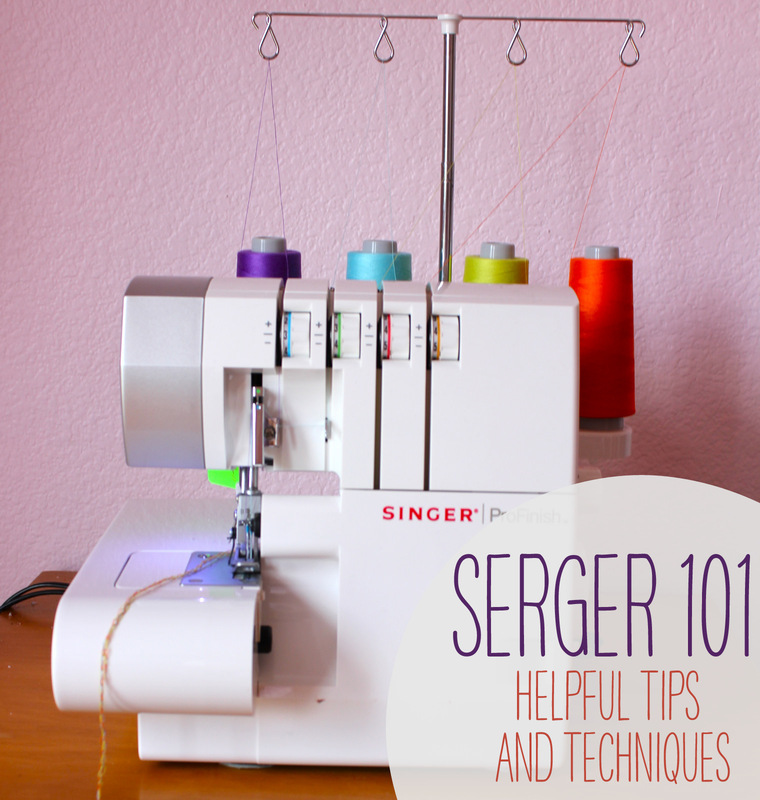 Hi, this is a great guide for learning how to use a serger. Many useful tips! Hi, this is a great blog, but it would be better if the pictures were not removed. Hope you can put in the pictures. Thank you! Oh this was such a useful post, but the pictures have vanished and now it's much more difficult to make sense of! Any chance of an edit? :) Thanks. Very nice information on Serger, I would like to share some of my reviews of serger, it will be useful to you, visit my blog for more information.